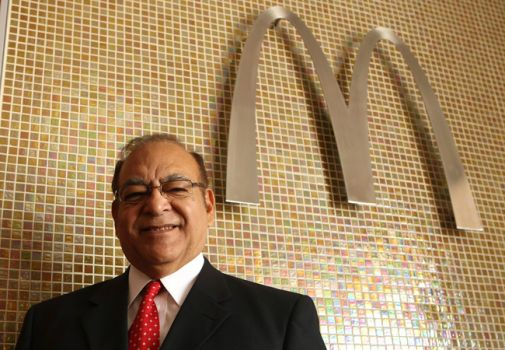 It would have been easy for local businessman Richard Acosta to give up after the first year of opening his first McDonald’s restaurant franchise. After all, the struggle and sacrifice were plenty. In 1975, Acosta and his wife Celia quit their jobs, sold their home and poured their savings, along with their determination and hard work, into a venture they weren’t certain would prove fruitful. But with the encouragement and help of their families, as well as McDonald’s and the National Economic Development Association, the Acostas raised enough money to open their first location at 721 San Pedro Ave., near San Antonio College. “It was an exciting time, but when you’re not generating sales, it’s a struggle,” said Acosta, 66. Sales did not immediately take off after the restaurant’s opening, but Acosta was determined to succeed. A native of the West Side who spent summers during college picking fruit and working at a cannery to pay for his studies, Acosta was no stranger to adversity — nor overcoming it.